Vocafusion, the first Vocaloid con in the Philippines was held last May 20, 2012. I was invited to be a part of the Vocapanel, where me, Haru-P, Eyes-P, and Rerulili-P discussed about song making (though I only said a few words AHAHA -shot-). so I woke up at 5 am, went to church, then to the bank, breakfast at Chowking, and headed to SM to take the bus. At exactly 12 pm (or was it 12:30?) I finally arrived at Trinoma, met Ritz, Kuro, Xephy and Shock (who are waiting for me for like an hour or more ahha -shotshot-). okay let's just skip some details lolol. So we finally arrived at the venue and there are like a lot of people in their costumes! saw Vinar in the entrance, he is a cool dude, I tell you *A*. and Parugs, he's making sure the place is neat, he is a hardworking man *__*)7 *salutes*. Inside I can feel the heat of the event, there are a lot of people inside! *__* so we went to take a sit near the stage and there's Yoru, That-san, and Minchan as the judge for the singing contest! Then we found Kenta in his Gumo(?) (guy Gumi) costume, Shiki's there too. Ken and Acchan was there too in their costume! Cher and Chii arrived, Yoru joined us and we had an awesome bonding moment with him!. Clark was there too! he was like "O__O apol!?"! he was with his sis, he is a very energetic man XD! then we met Silver, Ehmz and Lemon Silver and Ehmz are so cool *A* and Lemon's so cute and cool too xD! anyway, umm so I bought Rerulili's CD and asked for his sign *__* omg Rerulili looks cool and awesome, and he is so tall o___o!! That-san's so cute when he speaks tagalog haha! his "Bili na kayo (buy now!)" and "Kiss mo ako (Kiss me)", so cute *A* he is like so talkative xDD! So many thing happened omg, there's dance contest, voice acting contest and more. There are band performances from Error 505 with Yuri and Janelle as their vocalists, Asterysk where me and Clark are headbangin' while they play Magenta and Omoide Kakera, and Anibeat Rocks, awesome performance! Osamuraisan also did a live performance, together with That-san. Osamuraisan is awesome! he's like sparkling and shining while playing the guitar haha! and That-san's voice is perfect! We also had a chance to sing with them! we had an awesome "Smiling" chorus live! it is an honour to sing with That-san and Osamuraisan (yeahh! he sang with us! ), Lemon, Minchan, Yoru and more! "Smiling together, we'll be together! !~~"
and thennnnn, picture taking timeee!! woot /o/!! new entry.. after a long time lol, new songs! new updates~! I wrote the lyrics of this song while I am in a call haru. so she said "let's write a song about unicorns for tune", so I grabbed my guitar and randomly played some chords. Then later that night, I made the instrumental, mixed the vocals and made the video, and tadaaaa, it is a uniporn.! After a "weird" song, I made a serious one. The song is based on my experience from the first 2 weeks of haru's departure. I dedicate this song to her, she is really important to me. LOL a "scary" song after a sweet song? 8}! this song is about a girl, who is a victim of abuse and violence, seeks revenge! this is the first time I made Luka scream (actually the second time LOL). A collarbonation with Kenta, who wrote the lyrics, drew the pictures, and animated the video!! this song is based from the "collarbone" twitter meme (originated from Himuro's dp lolol). She wrote the lyrics for me ;A;, thank you so much Aki!! so this song is my very first original Japanese song uploaded on Youtube and NND! the song gained a lot of views on Nico and Youtube ;w;~ thank you! I want to thank the following people who helped me on my songs! * Yume - Illustration for "Uniporn"
* Alice - illustrations for "Waiting For You" and "Poison and Divide"
* Kaoru - illustration for "The Revenge"
* AyaMizuno - illustrations for "Liar's Reward"
* Yoru - PV for "Liar's Reward"
* Kenta - Lyrics, Video, Illustrations for "Collarbones"
* Aki(EmpathP) - Lyrics for "Poison and Divide"
* NeutrinoP(Vocalekt Visions) - GUMI's vocals for "Poison and Divide"
also, watch out for my future songs! oh oh! and btw I have a page on Vocaloid wiki *A*! haha, that's all! see you again for the next update! Haha, my blog is alive again! oh my god. it's been a long time since my last update of my blog haha. okay so here are the stuffs I finished since the last update. and here, our chorus of "Kimi no Shiranai Monogatari"
this is for haru's bday!! belated happy birthday hun! also, here's our band cover of k-on's ed, "No, Thank You!" oh and I am done writing an original song! so Yoru can finish the PV *A*!! from Nichijou, to AnoHana, to Inazuma Eleven and more haha! 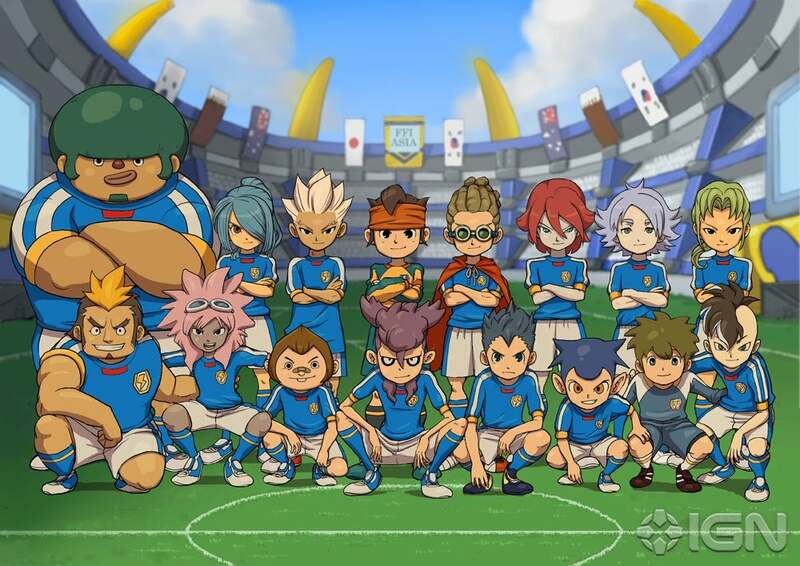 guys, watch Inazuma, it's awesome! you can catch us spamming twitter with inazuma love ! ahaha ok Idk what to say anymore, that's all! I guess? 8D! see you again on my next update! ohoh I have time to update my blog! hurrahhh!! oh! and thank you everyone for supporting Banana Kurimu!! we made it on the next round!!! I'm excited to see the other choruses *w*!! good luck everyone, let's do our best! last week was me and my haru's 7th monthsary 8D!! belated happy birthday to Piri/Shock and Yuuri 8D!! it will be a screamo song 8D!! last week, I uploaded our bnd version of Listen!! from the anime K-on!! thank you very much everyone *A*! okay and next is, I am writing a song!!! and! I am looking for 3 illustrators and animators! for more info, check this LINK <---- CLICK! Copyright © apolのブログ All Rights Reserved.